Next to Normal explores the story of suburban mother Diana, who struggles to cope with her worsening mental health affecting her whole family. After she is diagnosed with bipolar disorder, she searches for a healthy family life with her depressed husband, perfect son, and teenage daughter who just wants to be seen. The show addresses mental health issues such as bipolar disorder, depression, suicide, grief, and drug abuse. 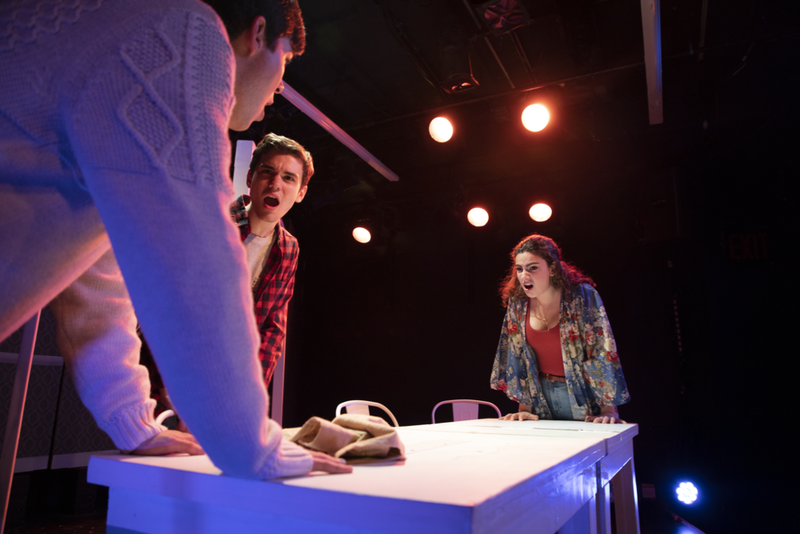 Next to Normal shines a light on the effects and treatments of mental illness. It gives a musical and artistic voice to those whose stories have not yet been represented on a stage. Book and lyrics by Brian Yorkey; music by Tom Kitt. Directed and choreographed by Danica Jensen; music director, Chloe Geller; sets by Mason Delman; costumes by Deijah M.V. ; lighting by Katherine M. Craig; sound by Lily Garcia. Production stage manager, Tara King; general manager, Matt Rose; production manager, Basil Apostolo; marketing director, Chelsea Galembo; associate director and choreographer, Kait Warner; associate producer, Chloé Duhalde. Presented by Tim Sebastian in association with Tisch New Theatre through special arrangement with Music Theatre International. At the The SoHo Playhouse, 15 Vandam Street. October 23 - November 4, 2018. WITH: Samantha Tullie, Knox Van Horn, Kyle Brenn, Sam Tennant, Jose Contreras, Max Fiorello, Lizzy Gesensway, Kaeli Heffer, Aja Hinds.